The ukulele is like the joyful little brother of the guitar - with that being said, it’s one of the easiest instruments you can learn to play on. It’s also pretty small, so you can easily take it with you wherever you’re headed, which makes it great for travelling, smaller gatherings or simply for enjoying on your own. But let’s face it: learning to play an instrument can be worse than boring if all you try to play is ‘Mary had a little lamb’ (unless that’s your favorite song, of course). We’re here to tell you, that doesn’t have to happen: there’s a world of great songs out there that you can learn, and luckily for you, most of them have ukulele adaptations. We have collected the best tutorials, so you can spend more time on practising and less on looking around for new songs to try. Happy playing! 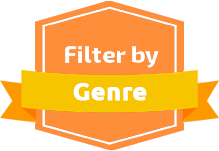 Simply choose your level and your favorite genre to find the next best song to play! © 2018 UK Hawaiian Shirts Online. All Rights Reserved.